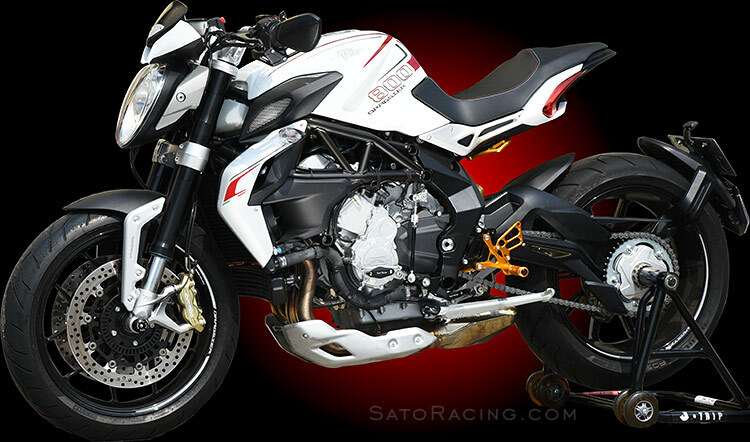 SATO RACING Rear Sets for 2012 and up* MV Agusta Brutale 675/ 800/ 800 Dragster/RR are made from billet aluminum anodized in your choice of all Black, or vivid Gold finish with contrasting Black base plates and shift pedal. 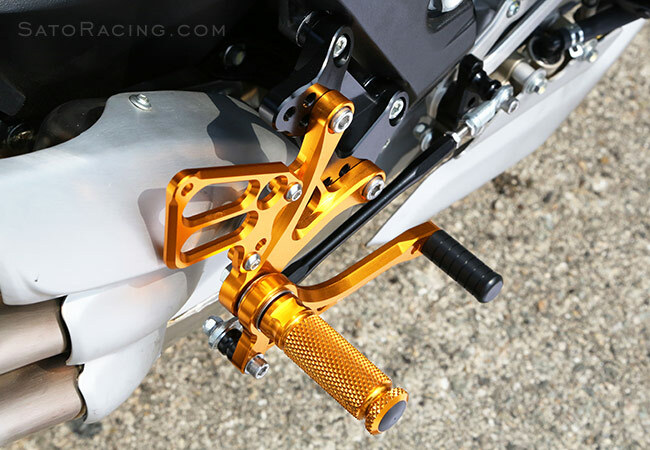 The shift pedal and integrated brake pedal have double stainless bearings for smooth movement and a high quality feel. 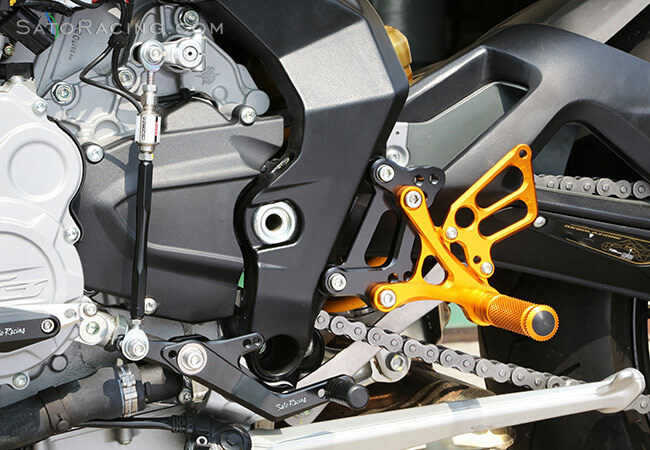 Choose from 4 adjustable positions that place your feet higher up compared to the stock rear sets. 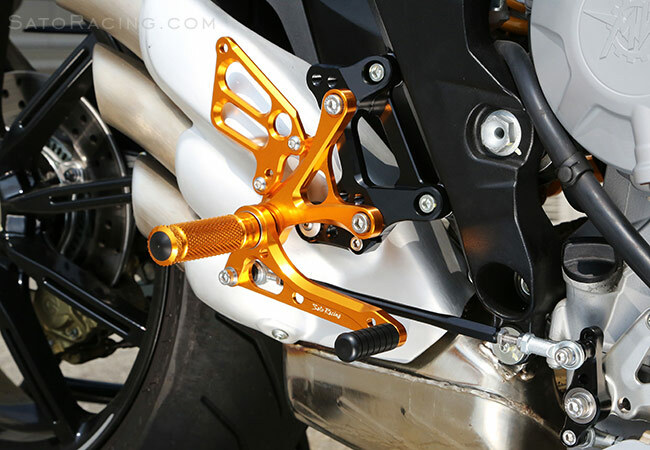 These Rear Sets can be easily switched from stock shift pattern to reverse (GP) shift pattern. 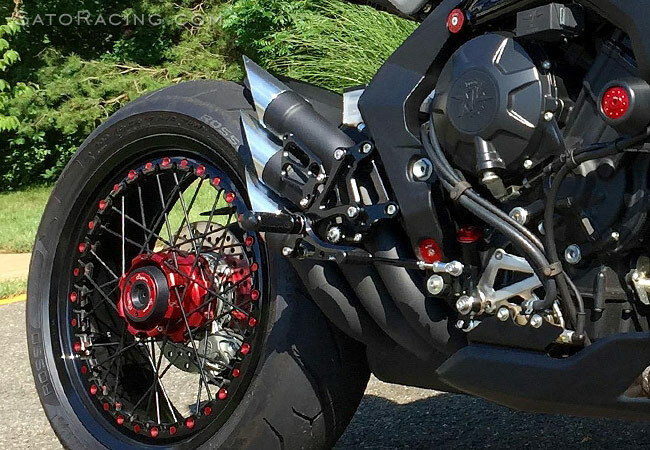 * NOTE: Confirmed to fit '12-'14 Brutale 675/ 800. Full compatibility with later model years is unconfirmed. for smooth, precise movement and a solid pedal feel. 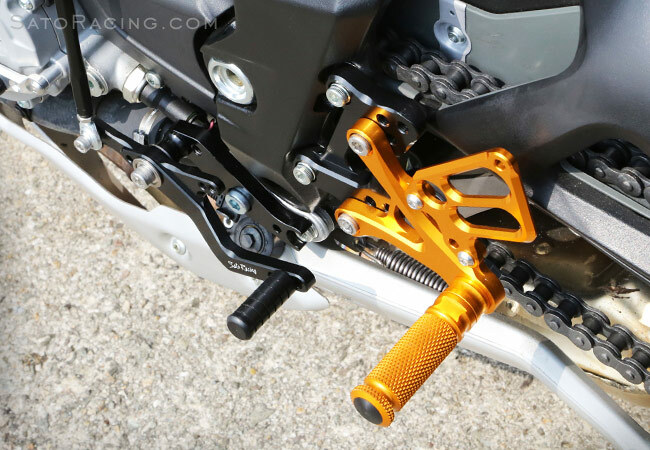 Foot pegs have a deeply knurled pattern for excellent grip characteristics. (GP) shift pattern by relocating the shift rod to the opposite end of the pedal. parts list included with your Sato Rear Sets.